Autism experts are still looking into the reasons why this condition presents in some children and how it affects their development. However, many autism specialists agree that the earlier an autism diagnosis can be made, the faster that treatment can address a child’s symptoms. Knowing the early signs of autism can help parents seek help for their children as soon as possible. 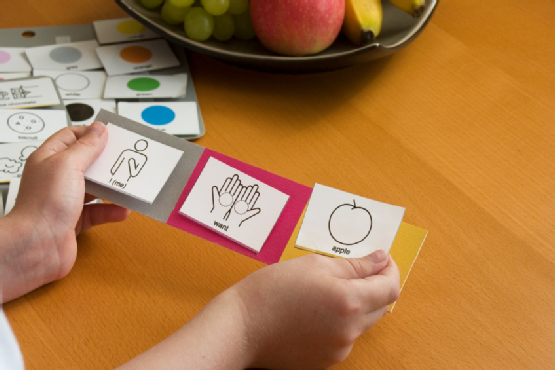 Developmental experts stress that children can be on varying language skill timetables, though some communication delays may point to the presence of autism. For instance, if an infant cannot communicate via pointing gestures or nonsensical jabbering by the time he reaches his first birthday, it might be due to autism. Many children can articulate single words by the time they are a year and a half old, so a lack of any vocabulary skills at this age might also indicate autism. A child who has begun to develop his language skills, only to regress with age, may also need the services of an applied behavior analysis expert. Language is not the only aspect of childhood development that parents should take into consideration when evaluating their child’s advances. How a child engages with those around him can also highlight a potential autism spectrum disorder. Well before they can verbally communicate, children can respond to the verbal instruction of others. If a child does not respond upon hearing his name, or he ignores requests to view or interact with an object or person, it may indicate the presence of autism. Young children can also express themselves through facial cues. A child who does not smile in response to positive stimulation may require specialist intervention. If you have observed language delays or other developmental concerns in your child, The Behavior Exchange can help. Our applied behavior analysis experts can provide a thorough evaluation of your child’s language and social skills to determine if he or she might require professional support. For more information about our services, call our Dallas area office at (972) 312-8733.